I actually persuaded him no to ! did you see the GoT episode? 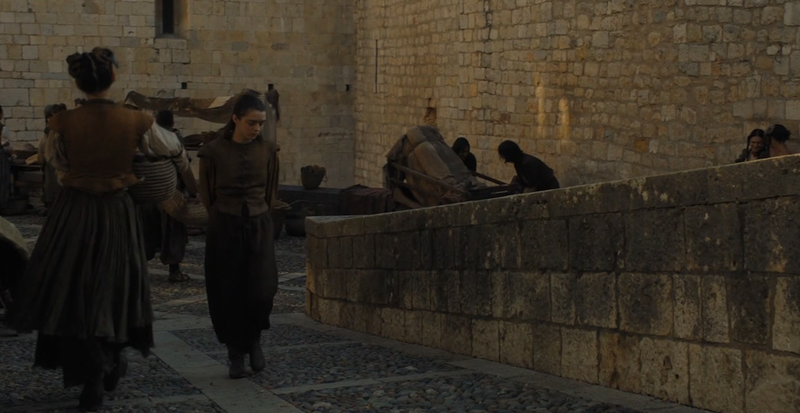 did you note anything strange on arya? did you see the episode? or I spoiled? Is this doing what I think it does? That is to sort the population with respect to the fitness? so that I get 0 3 4 2 ... if the best individual has index 0, then 3 then 4 etc. correct? whats wrong with the init? who cares if 0u is unsigned int or long long minchia? my point is that if it is, then ok.
and above: what is the type of mu? so its bad practice to do something like that ? better to explicitly put the type? I can then imagine super complex setups where the user does not really care to think on what is the best algo and want to try them all. He would like PaGMO to record automatically whats the best solution ever found no? I thought the algo evolve would not replace better solutions? Well, some algo are not elitists. So they do not keep the best solution. They replace it with new individuals. Nothing prevents evolve to just reinit the pop for example. yeah I understad that, but then if you are using an algo which nukes everything you should know that no? or for a type of study like that the user maybe should take care of doing the recording of the best solutions? I think we either operate under the assumption that all algorithms are elitists, or we ask the user to record, or we add a champion, having pop record it. The user could have troubles in recording this info in cluster setups with asynchronous archipelagos no? And, how does it look in ipython? Adds one decision vector (chromosome) to the population. born individual. In case of exceptions, the population will not be altered. what types are allowed then? only pagmo::de has a gif correct? Do we like the naming get_problem, get_fevals etc. as opposed to problem, fevals .... ? How can I cherry pick a commit? do you mind if for some mutable (algorithm memory) members I do not use the m_ convention? thread safety .... -> i though we discussed this memory mechanism already and is ok .. no? how would you otherwise implement such a mechanism? But I am just looking at PaGMO legacy ... why is this problem not there? the atomic counters do not have this problem right? so, on the m_ ? you let it be? Just noticed you reverted the css changes .... not good? can I make the up said exception on m_* for the data members? Or should we go for consistency? Which is cleaner if we introduce an using Eigen; before, but still, is there not a better way? ma sono int o long gli indici? Poi non capisco .... ma fare lo static cast e' la stessa cosa che ignorare il problema vero? se ho un unsigned int che non e rappresentabile come int che fa il cast? UB? perche' non metti auto sdim = _(dim); all'inizio e usi questo? how would you make it better? You mentioned std::max_element, but for it I need some iterators... I do not know how to iteratore m_points orthogonal. what type is m_points ? @bluescarni why using CEREAL_LOAD_FUNCTION_NAME and not load ? Or I am understanding this wrong? k .. so for Eigen I follow the same idiom?